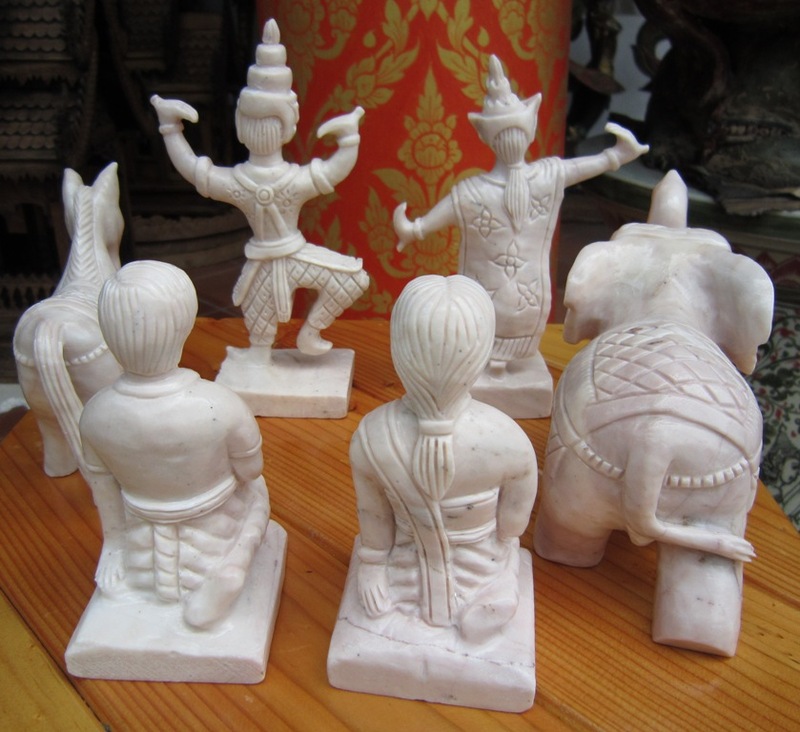 Set of Large 6 Hand Carved Marble Figurines for your Spirit House. Set contains, Man, Woman, Horse, and Elephant, and two male and female dancers. 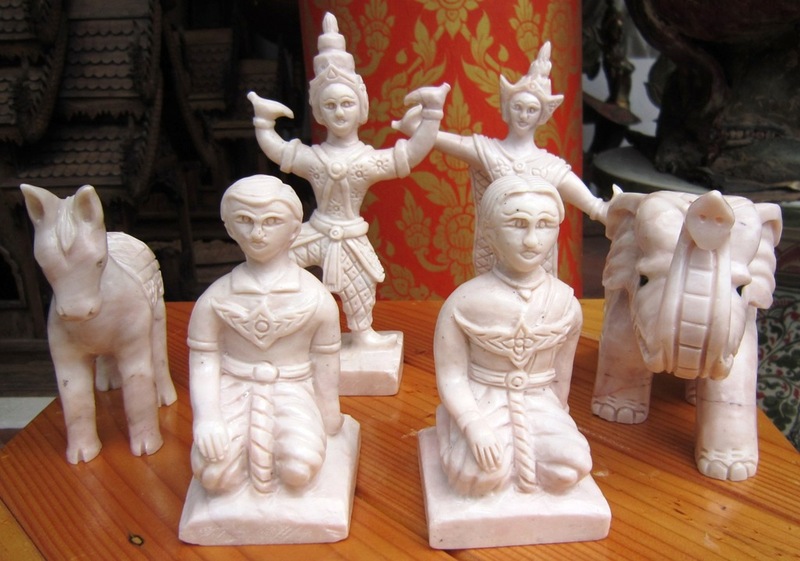 This is a traditional set of figurines that are placed in the larger spirit houses as servants, entertainment and transportation for the spirits. Each measures approx 4-6" tall and 2-2.5" wide. Comes in Light Pink and White Marble. 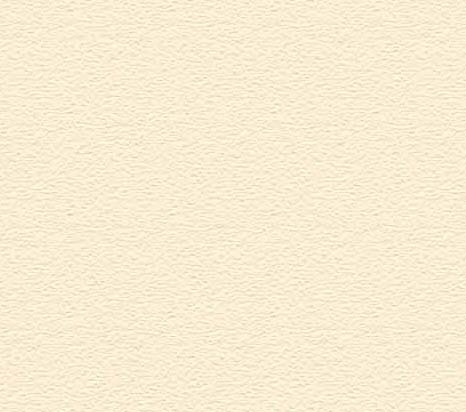 Please specify when placing order. Can be custom carved to your specific size.